I just found this photo I took from four years ago (yikes!) of one of the weirdest diesels I’ve ever seen. 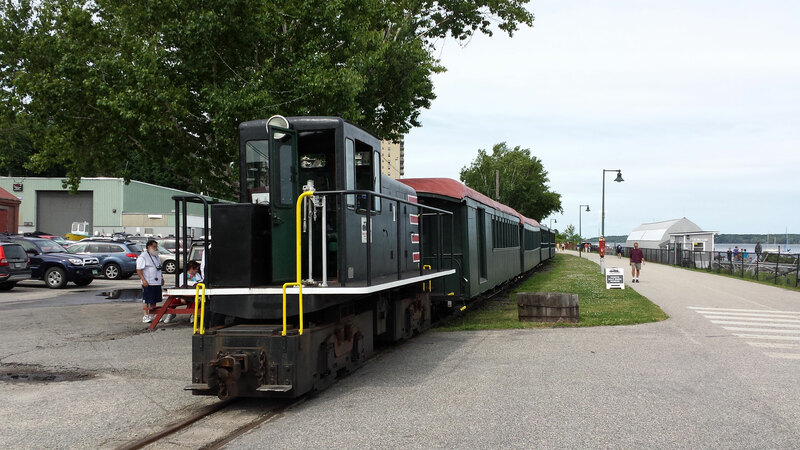 Maine has a rich history of 2′ narrow gauge railroading and there’s a museum dedicated to this history right on the Portland waterfront. Of course, the railroads themselves never lasted long enough (or had enough money) to dieselize. However, the museum, not wanting to have to fire up a steam engine whenever they give rides, needed something. They’ve got a GE 23 Tonner in a Maine Central inspired paint scheme to do just that. It is absolutely one of the oddest locomotives I’ve ever seen. It looks like someone took a regular GE switcher with a slice taken out down the middle. Add to that the weird way you climb in (by stepping on a plate on the trucks, and you find yourself in the uncanny valley: it looks like a regular locomotive, but also not quite right. Next Post	Cresson, Gallitzin and Altoona. August of 2018.